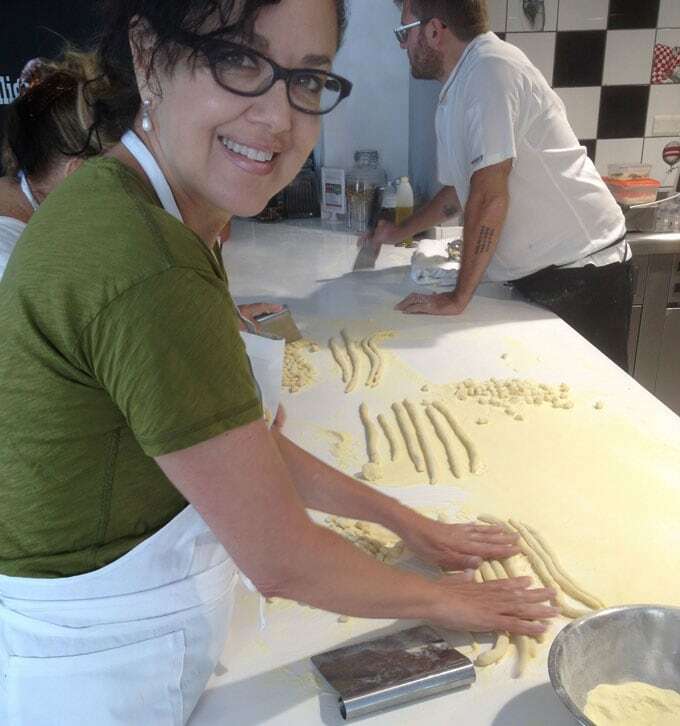 If you’re thinking of taking an Italian cooking vacation, you can read about mine here. It was the best! Hi! I just got back from a cooking vacation in Positano, Italy with my husband Eddie. It was a fantastic week of cooking classes and enjoying one of the world’s most picturesque spots. I have so many delicious new recipes but first I want to tell you about the trip and show you my photos. So here’s how the week went: every morning we sat out on our hotel patio sipping cappuccino for a couple of hours and taking in the glorious view (above). Then we cooked for several hours, which resulted in a delicious lunch cooked by us. The rest of the time we spent taking dips in the ocean, reading on the beach, touring around, and eating. Over the course of the week we visited the ancient ruins of Pompeii, the nearby Isle of Capri, explored the beautiful gardens of Ravello and sampled the bread and cheese of artisan bakers and cheese-makers in Amalfi. The Amalfi coast is the most visually uplifting place I’ve ever been. Everywhere you look there’s a magnificent view; the sparkling sea, dramatic cliffs, fabulous old buildings with iron gates and flower-covered terraces. Stone stairways are everywhere – long, mysterious pathways of steps, leading up or down through narrow spaces between buildings. 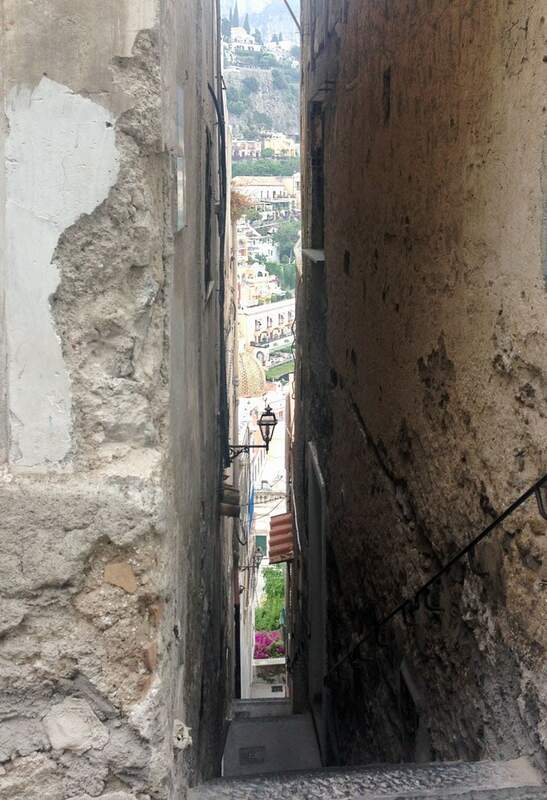 Because of the steep terrain, the town is built vertically. There’s just one main road winding around the edges of the cliffs. So the most direct routes are the stairways. Some of them have hundreds of steps. Fun going down. A serious workout going up. 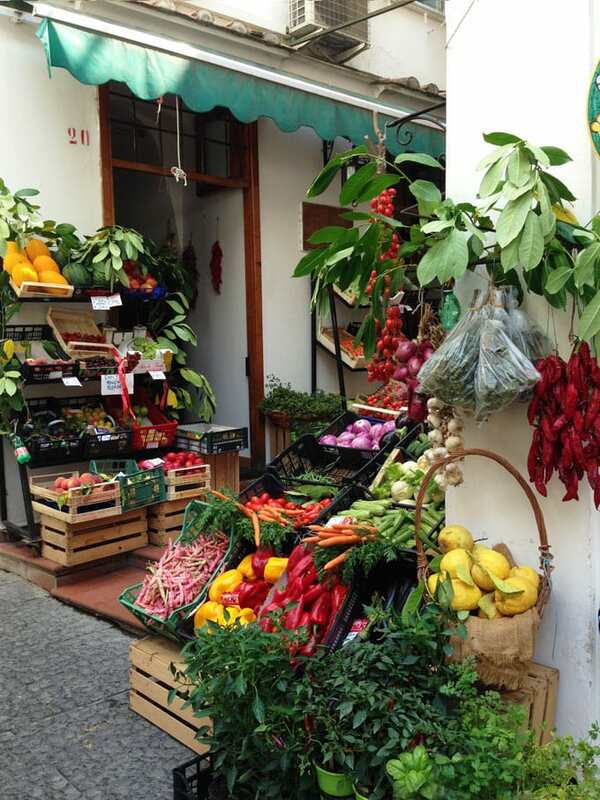 Charm is everywhere: this little market in Amalfi was so perfect it looked like it was styled by an artist or a set designer trying to create the world’s most iconic Italian market. 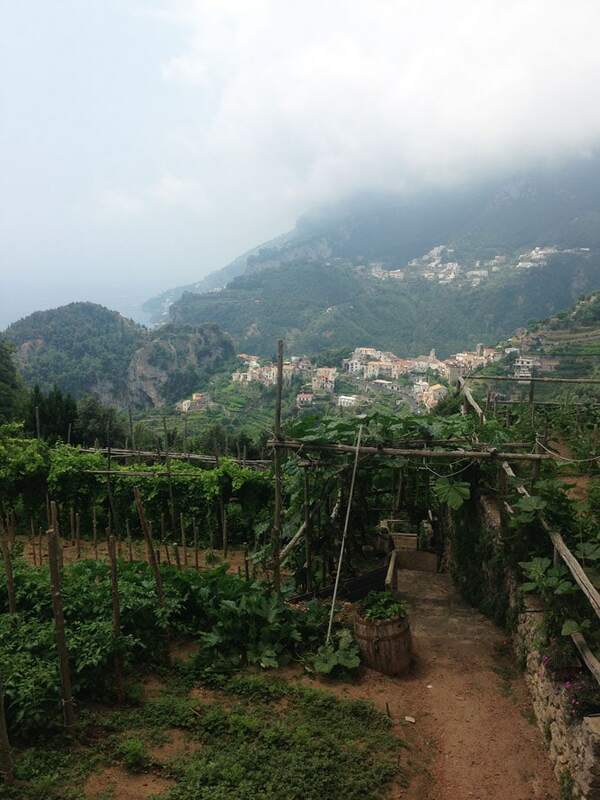 Some of the vistas, like this one in Ravello, were almost other-worldly in their beauty! 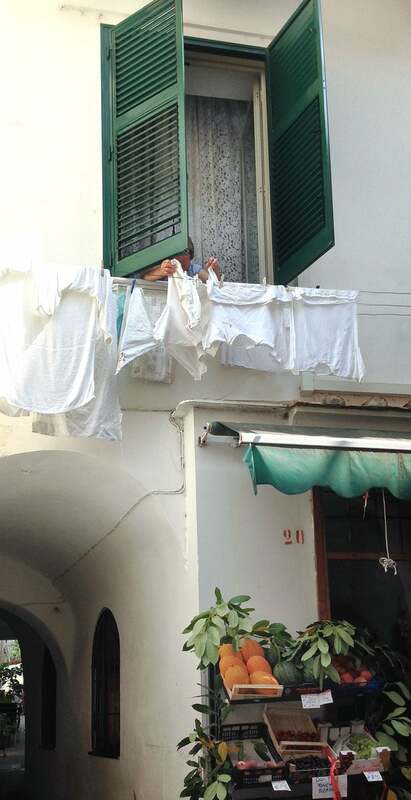 A glimpse of daily life in Amalfi – this woman hanging laundry out her window – could not be more charming. Now I’ll tell you about the cooking part of our vacation. Our trip was all part of an organized cooking vacation called “Slow Cooking Positano.” Each day at 10am we arrived at the kitchen and started cooking. We typically cooked three or four dishes in about two hours. 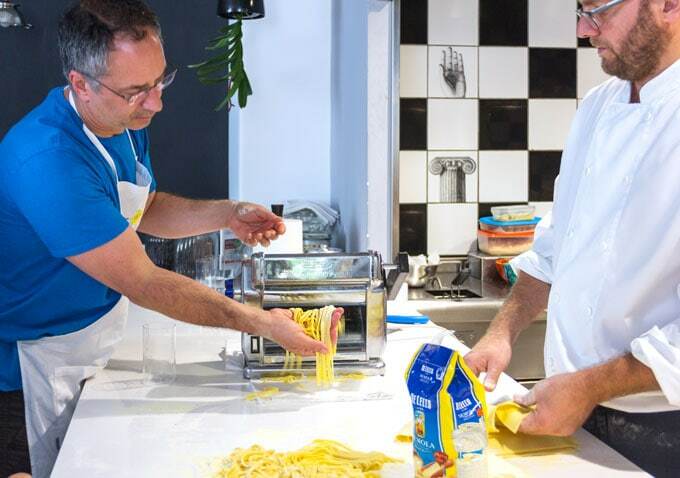 Our teacher was Chef Raffaele – a cooking teacher and chef/owner of one Positano’s top restaurants. We made several different pastas, that Eddie and I both loved. 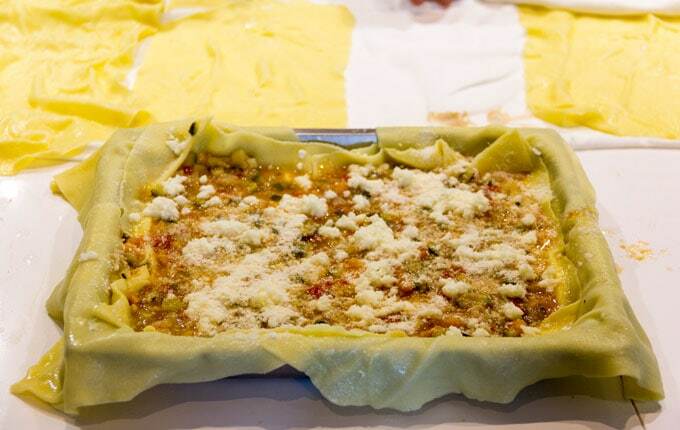 ….and delicious with a fresh cherry tomato sauce. We also made meatballs, potato croquettes, mini calzones, several fresh fish dishes, fried stuffed zucchini blossoms, Neapolitan pizza, many decadent desserts, and more! There were five other people in our group, so we were able to make a LOT of dishes in a relatively short time. After a couple of hours of serious cooking, we ate lunch – a huge delicious meal that we helped cook – and enjoyed a big glass of wine! 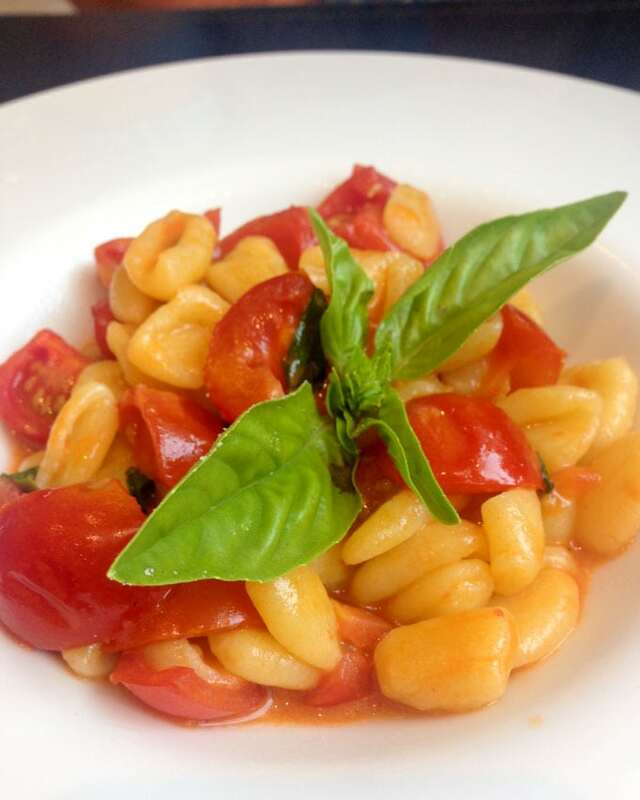 Lunch is the main meal in Italy, usually multiple courses: soup or pasta, meat or fish, salad and dessert. Luckily dinners are smaller and are usually eaten after eight or nine pm, so you have time to get hungry again! One of the big perks of our trip was receiving a personalized itinerary from Lauren, the creator and director of Cooking Vacations. Lauren Birmingham Piscitelli and her husband Rino know the area extremely well – they live in Positano for half the year. The other six months they live in Boston. Lauren arranged our hotel, our drivers, all of our excursions; she booked our tour guides, suggested restaurants and helped us book reservations. All of her arrangements were top notch! We felt like we had the inside scoop on everything, which I really appreciated. There’s so much more to tell. 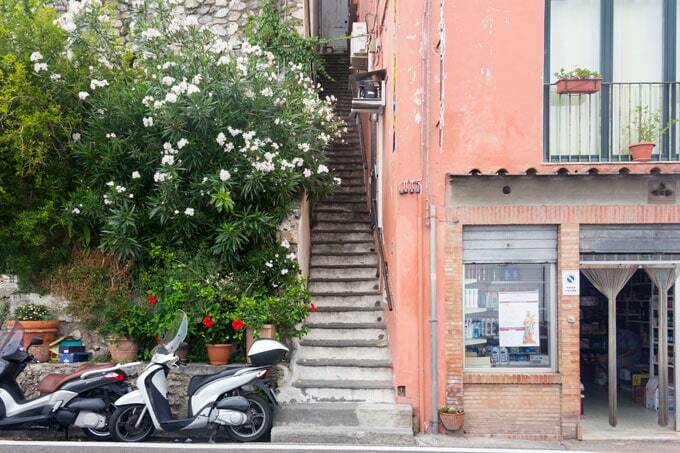 I haven’t told you yet about the fish or the lemons or the cherry tomatoes – all so extra special in this region of Italy. If you want more photos follow me on Instagram. Lisa! Hi! I’m from New Hampshire and just recently discovered your blog. 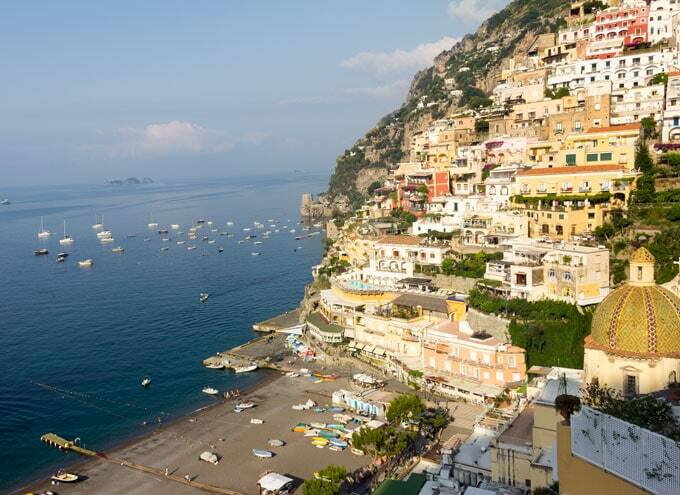 I have a trip planned to Positano next April and couldn’t be more excited. Just saw this post and I can’t wait to have your recipes. I plan on doing a cooking class while I am there. 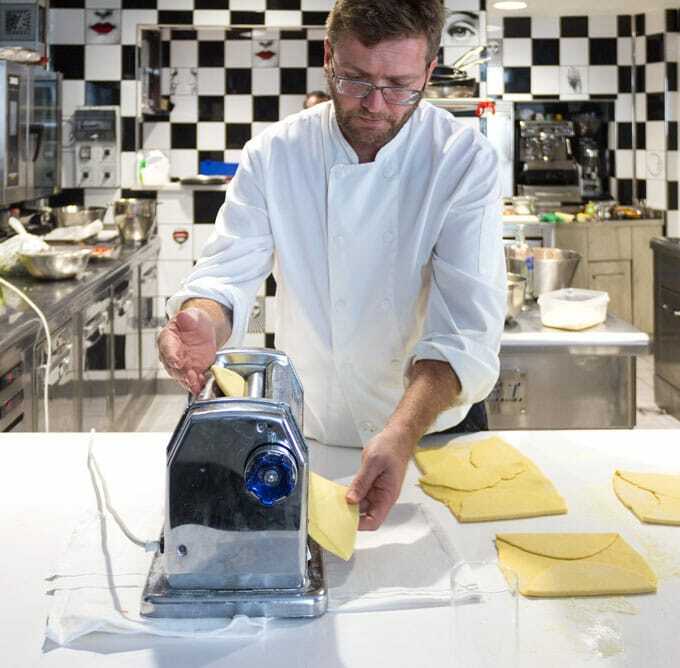 Do you know if the Chef Raffaele does smaller cooking classes? I can’t wait for your homemade gnocchi with creamy lemon sauce recipe! Oh! 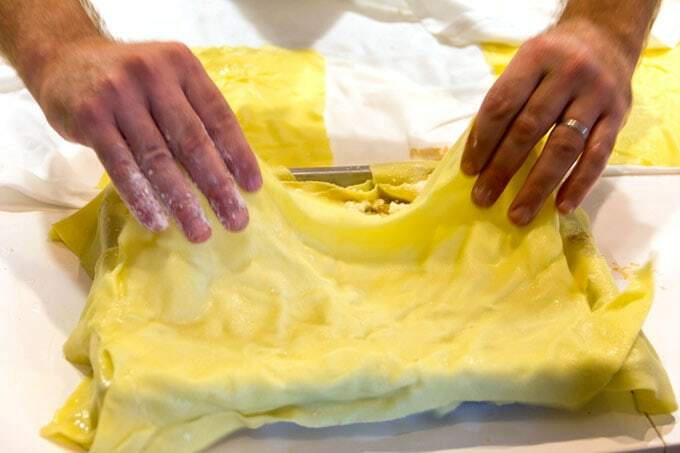 Also– which restaurant it Chef Raffaele’s? Hi Erin! 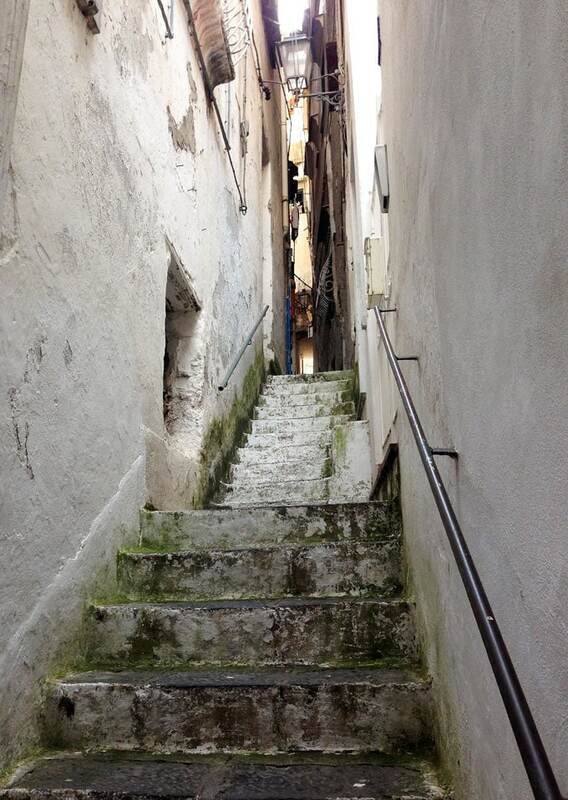 Lucky you – going to Positano in April!! 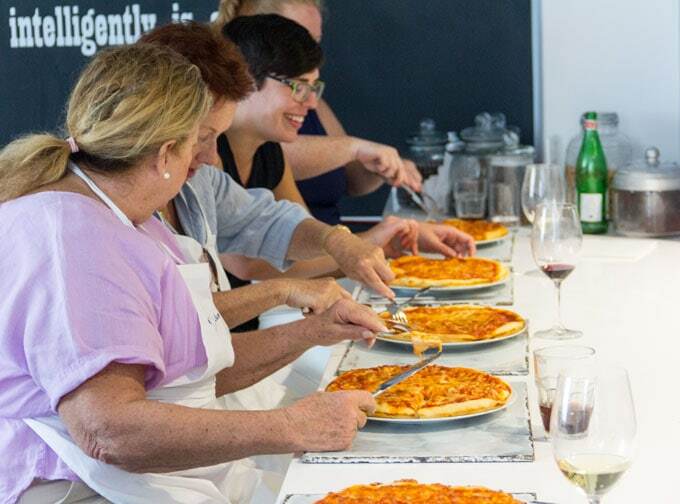 If you contact the folks at http://cooking-vacations.com you’ll be able to schedule classes with Chef Raffaele. The classes are not large and you can choose how many days you want. Enjoy! 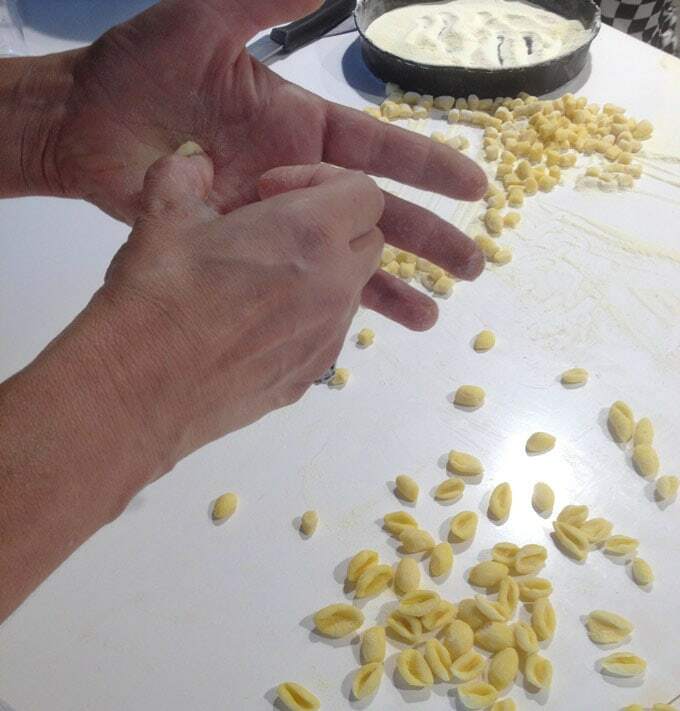 And thanks for reminding me about the gnocchi – I want to make that again soon!!! Thank you so much Lisa! I can’t wait to pick out a class– just died and went to heaven! The pictures looked beautiful. My kids and I leave for Sorrento & Rome this weekend. Other than a day in Capri, we have 4 days Sorrento. 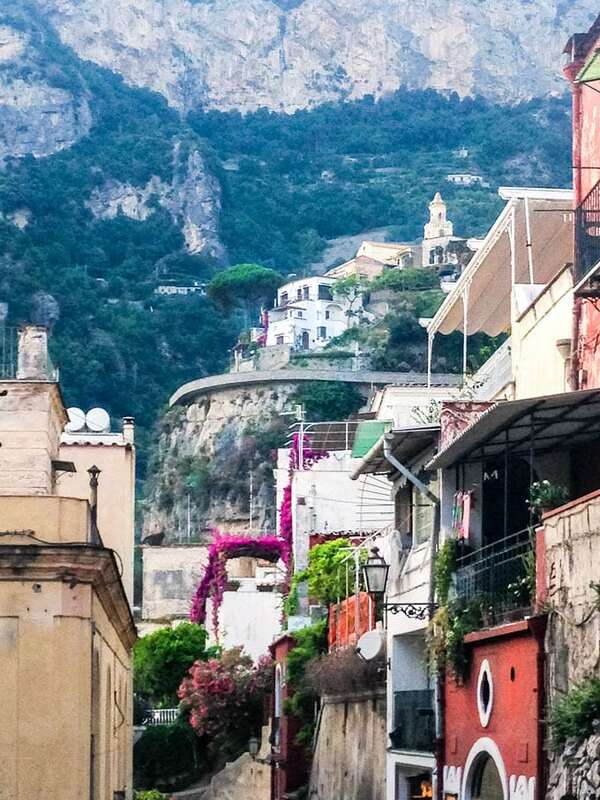 I hope to explore Positano for atleast one of those days and would appreciate any suggestions on restaurants. I have some pretty adventurous eaters for children, so any thoughts you can provide would be appreciated. Hi Asha, I hope you have a fabulous time on your trip. If you go to Positano, my favorite two restaurants are Casa Mele and Il Ritrovo. They both have amazing food. 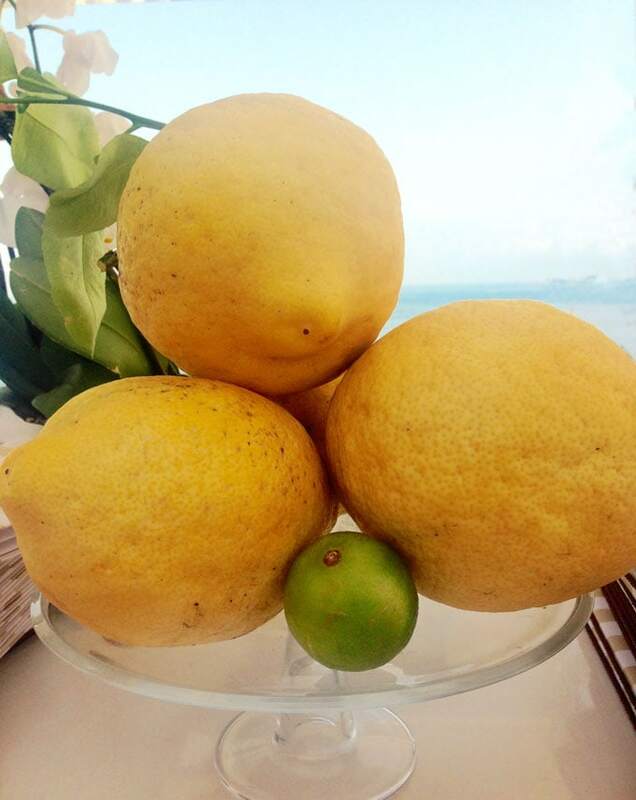 Case Mele is right in Positano and it’s a fairly new restaurant. Il Ritrovo is a short drive up into the mountainside and has a beautiful view. It’s been a local favorite for many many years. Lisa, what a fantastic trip! Everything looks wonderful. And it’s nice to see your pretty face in the post – you look happy and I can see why! 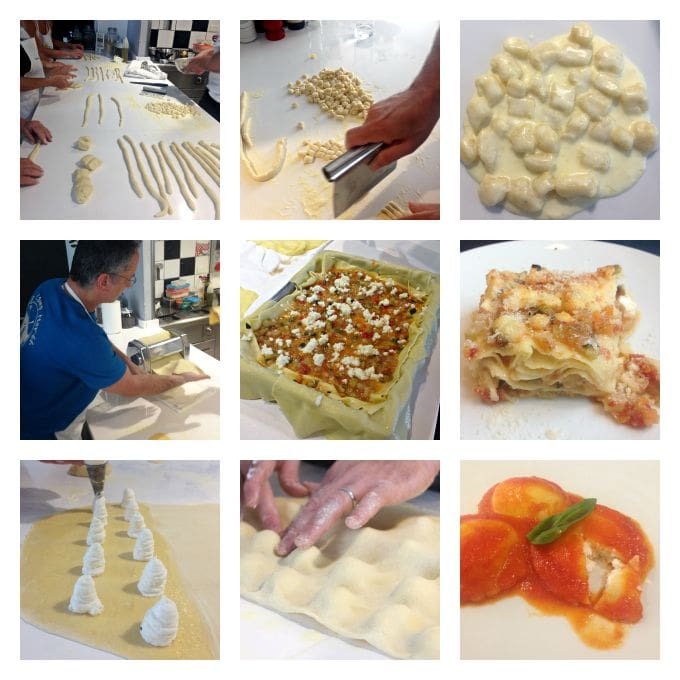 Oh, thank you so much for sharing – Lisa – what a wonderful way to spend time in Italy. 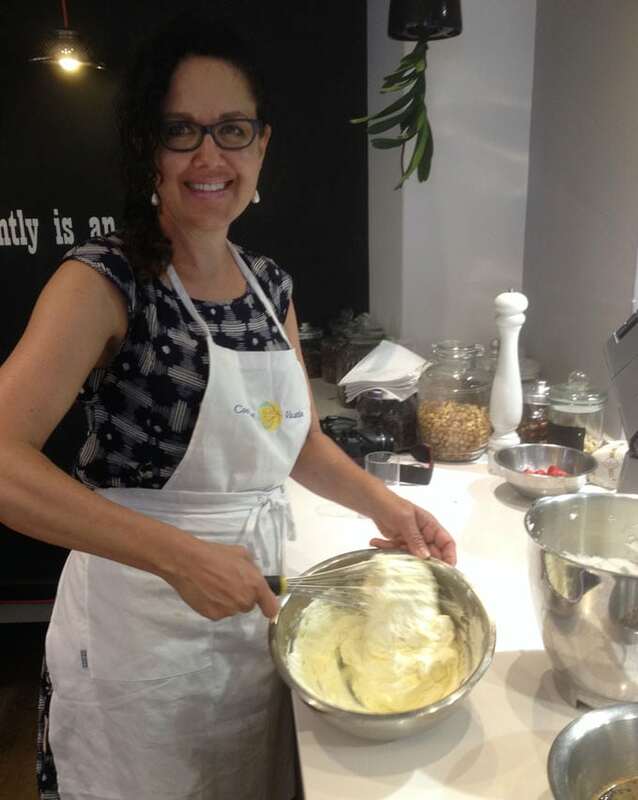 I love getting your posts, and this one is particularly interesting, as such a cooking holiday is on my radar! I would be particularly interested in the gnocchi and the lasagne. although frankly, everything sounds wonderful! PS I live in Toronto, and was introduced to your website by a lovely woman in Savannah, a great cook, with whom I stayed. Wow! That looks like incredible fun. Positano is one of those rare, special places. I’m jealous.